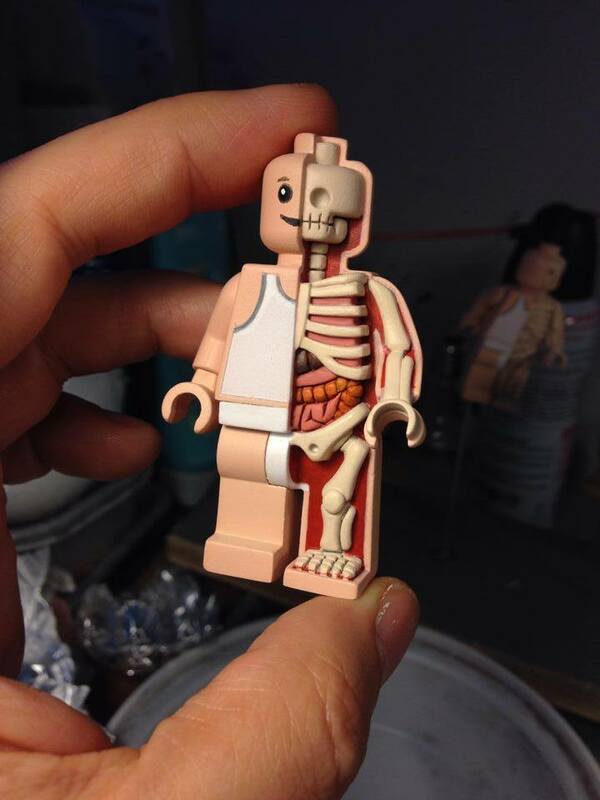 This Tiny Lego Man Anatomy Study measures just 2.75 inches tall. The whole thing is even hand painted, including all the of the smallest details. 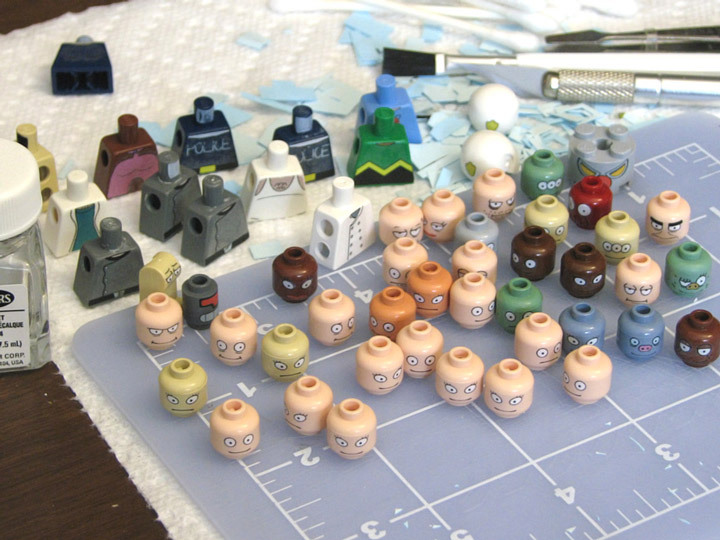 Not only is there one finished Minifigure sculpt, but if you look into the background you can see another one being created. 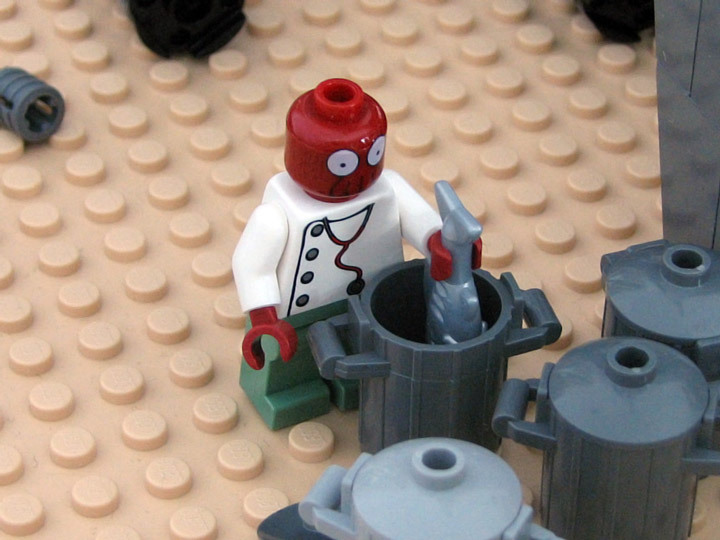 These little Lego Men are amazingly cool. Assassin’s Creed is out with a new video game. Titled Assassin’s Creed Rouge, it is a duel release with Assassin’s Creed Unity. This has to be one of the most confusing video game release schedules of all time. Although Unity is getting more press, it seems the smaller title Rouge is getting better a fan reception. 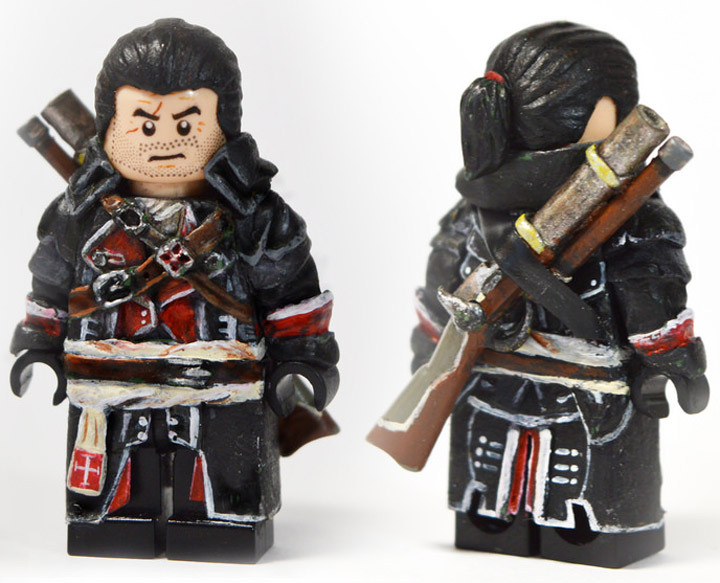 Logan Fulford has created an extremely detailed custom Minifigure based on the games protagonist, Shay Patrick Cormack. 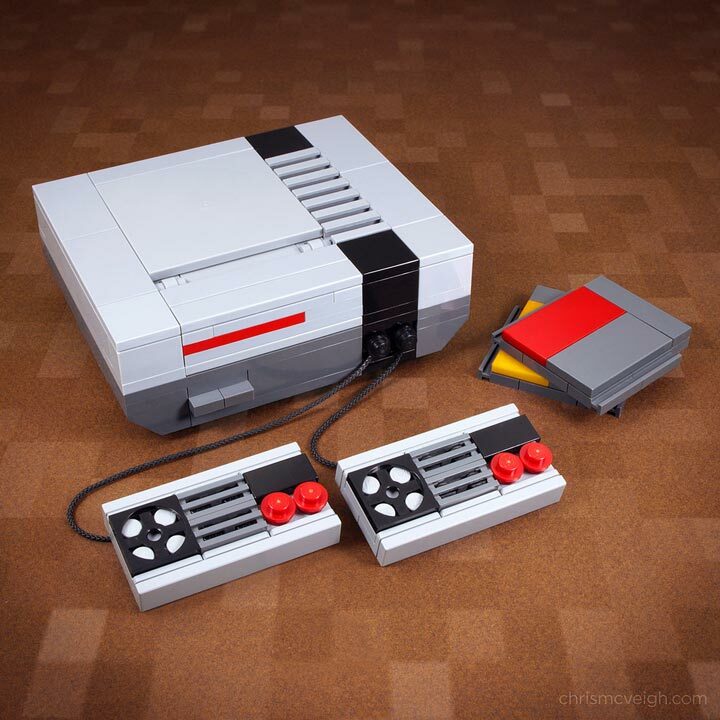 This little Lego guy features custom sculpting and custom painting to achieve its look. The paint work is well done, especially when you consider the fact that this is only 4cm tall. 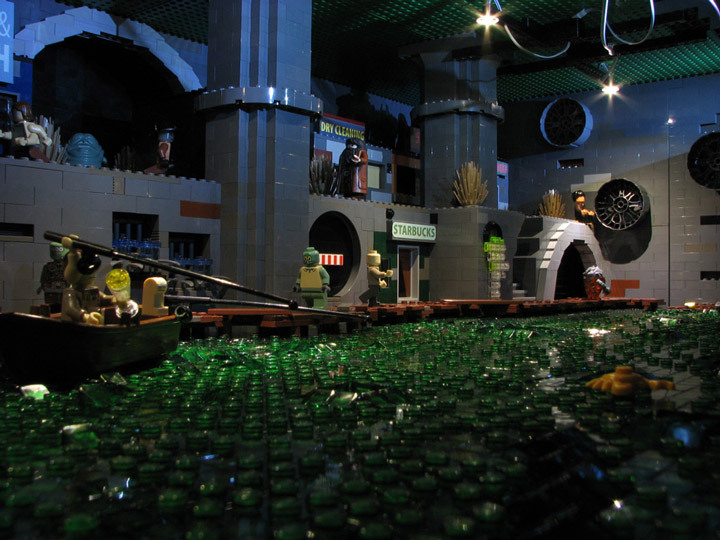 Hopefully we will see more Lego Assassin’s Creed stuff in the future, it seems like a theme that has a lot of overlap with Lego fans. Hulk Smash Lego bricks. 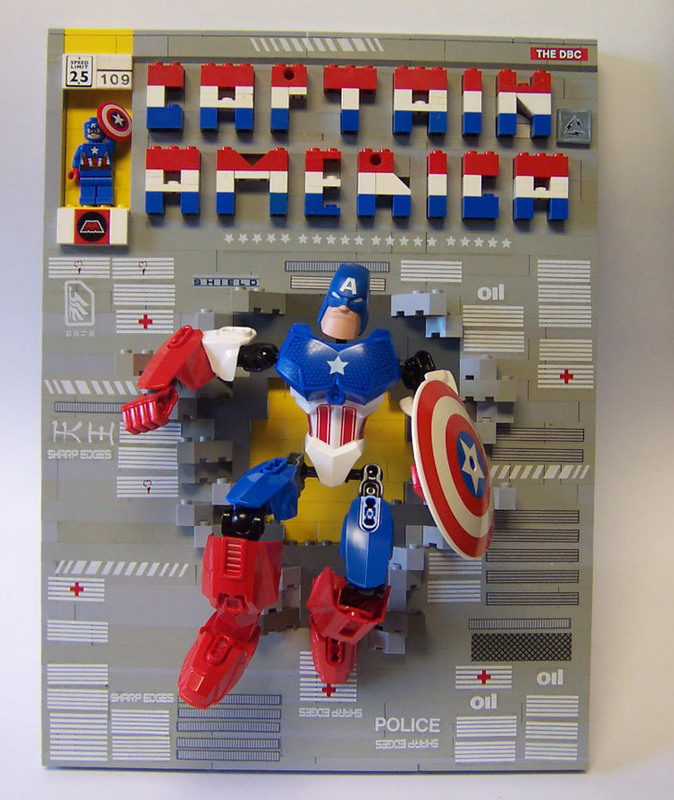 These Lego versions of comic book covers are the creation of monsterbricks. 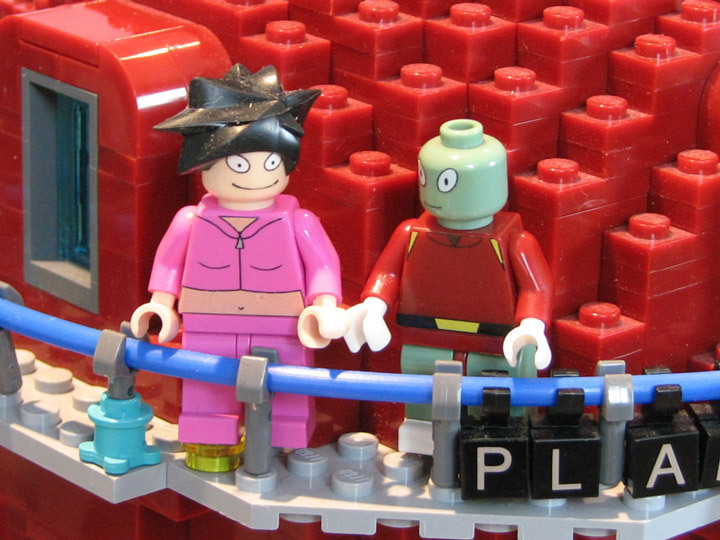 The Lego comic book covers are also relief sculptures. Where a 3D image/figure is sculpted in front of the background. In this case it is The Incredible Hulk breaking through the ground, literally breaking out of the background and into your face. This is even more pronounced with the Captain America cover below. 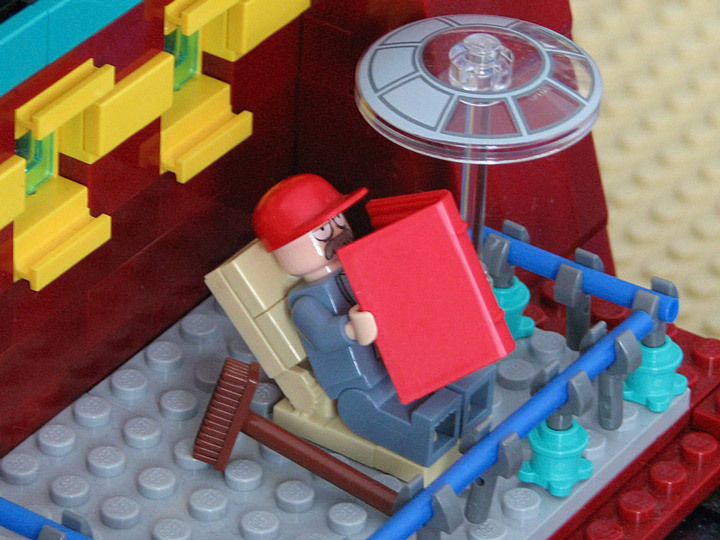 These Comic-Bricks (Lego Comics) are extremely fun. 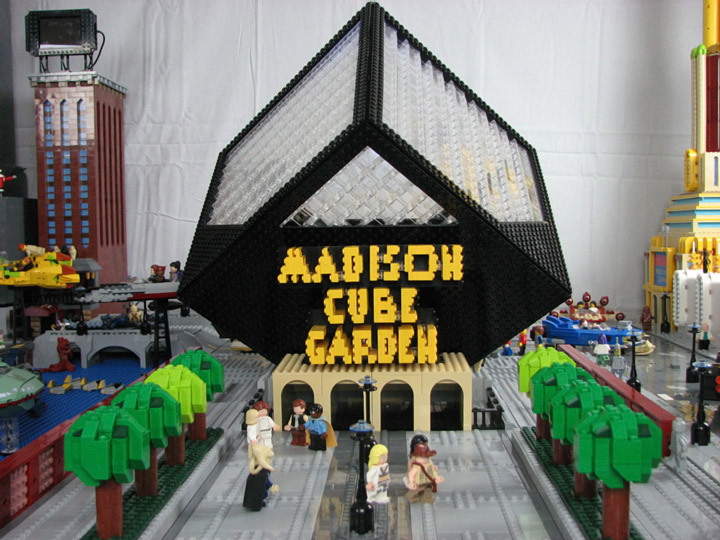 The overall design is greatly supported by the typography and logos, which is difficult to replicate with Lego bricks. Here the lettering is using a combination of brick built letters, and custom printed tiles. The end result is great. Check out the custom UPCs, price tags, publisher icons, etc. 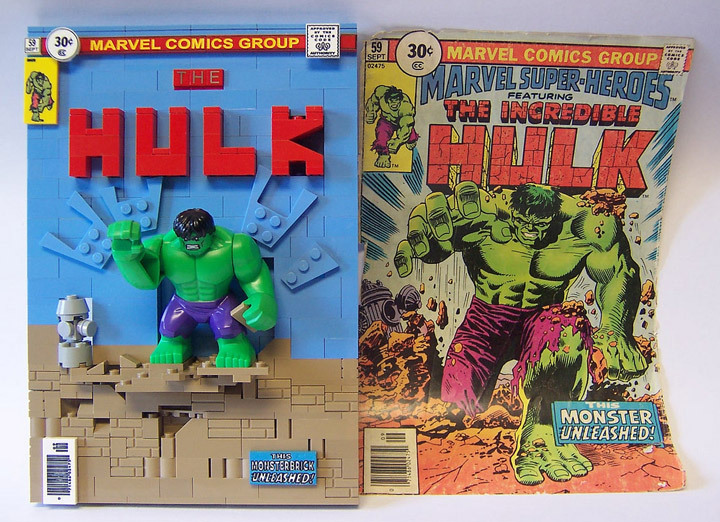 These are great recreations of their real life comic book inspirations; The Incredible Hulk #59, and Captain America #109. 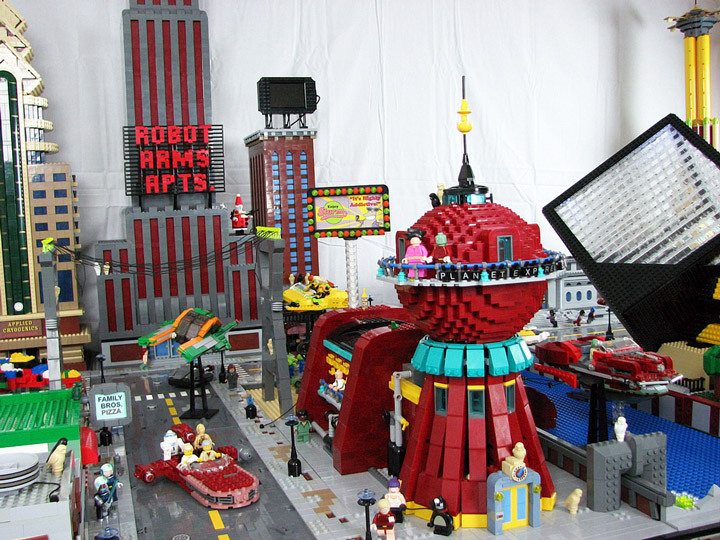 Lego has had great success with their Super Heroes theme. It is a little bit weird that they have managed to license both Marvel Comics and DC Comics. 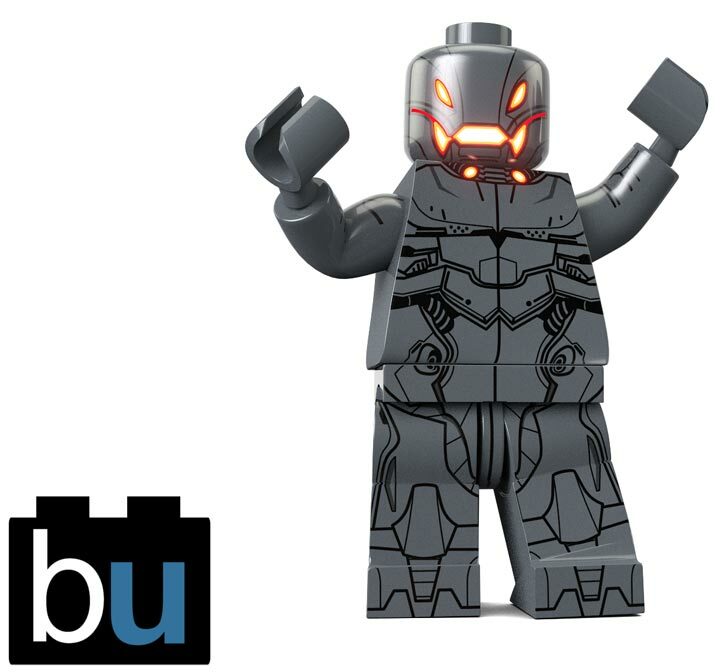 Lego has been releasing mostly modern themed comic book stuff. With just a little of the classic or silver-age represented (The 1966 Batmobile). 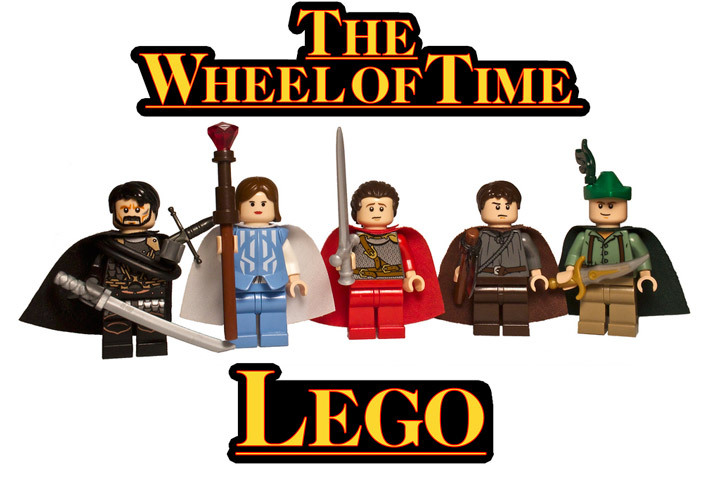 It would be awesome if Lego were to release 1 or 2 sets a year based on the golden-age or silver-age stuff. Imagine all the possibilities with Minifigures based on Jack Kirby, Gil Kane, Steve Ditko, Stan Lee, and John Romita designs. 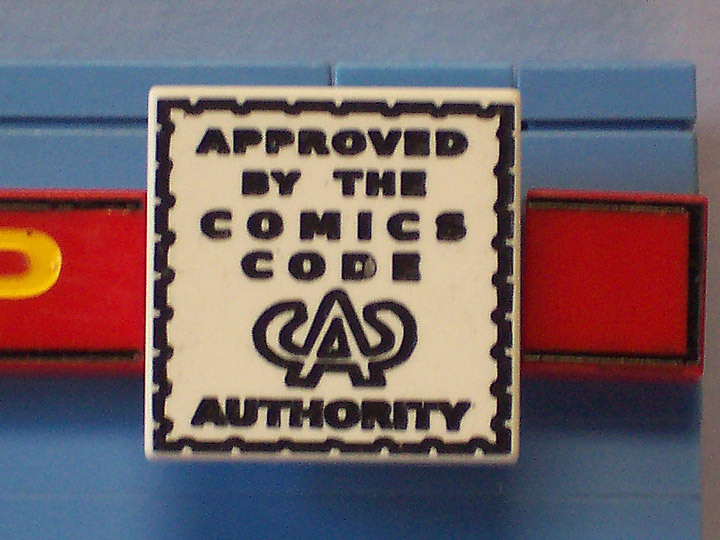 This post has been approved by the Comics Code Authority. 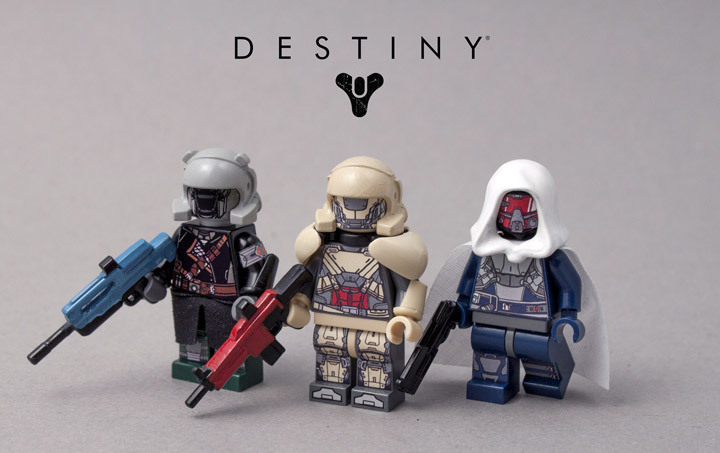 Check out these cool custom Lego Minifigures based on the sci-fi MMO Destiny. Living Legend spent months perfecting these Guardians. They feature unique vinyl stickers, and custom paint work. 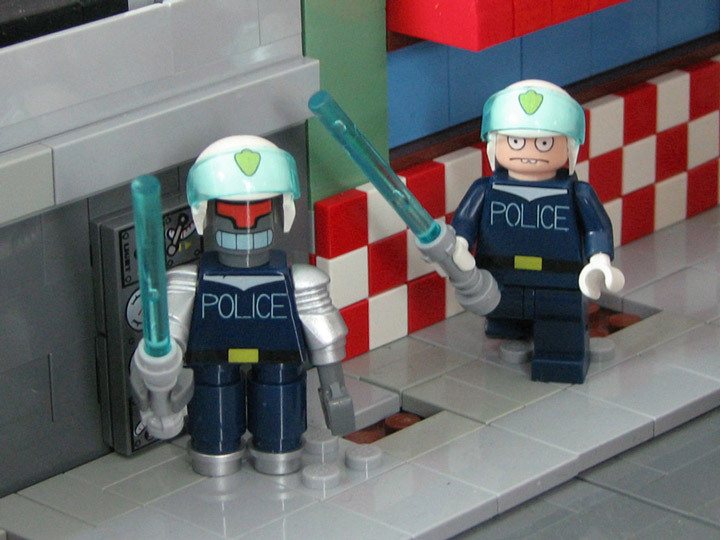 These Minifigs are ready to destroy their alien enemies, or spend hours shooting wildly into a cave. 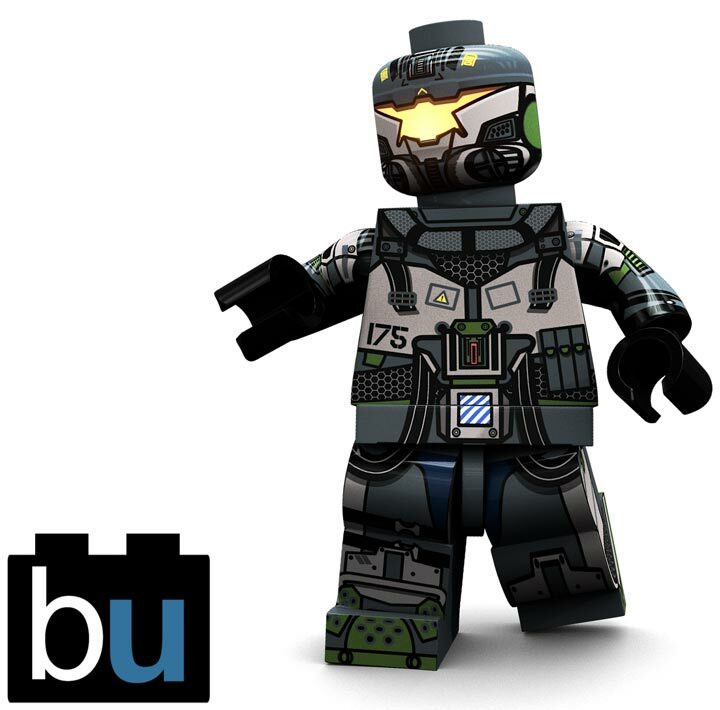 BrickUltra has just released information about their Wave 2 release of their Custom Lego Minifigures. 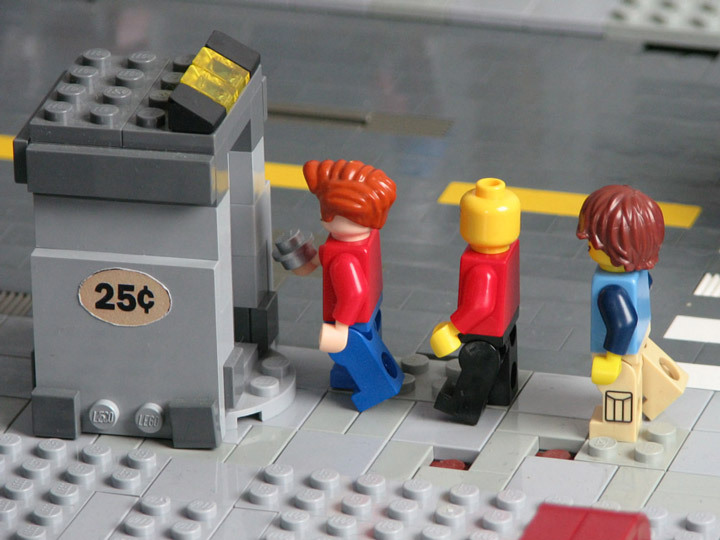 These new Minifigs are digitally printed, meaning that the quality and detail is amazing. 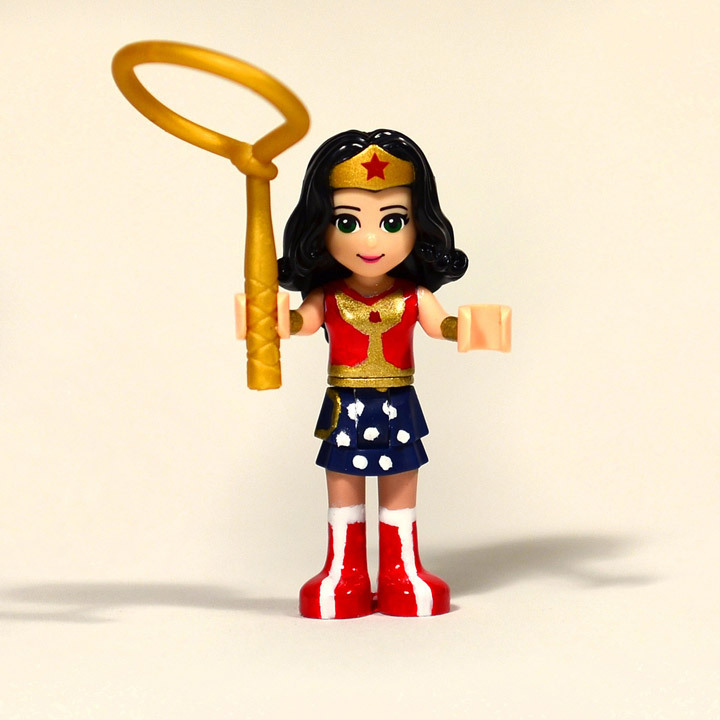 These feature printing that completely covers the Minifig head, arms, and legs. 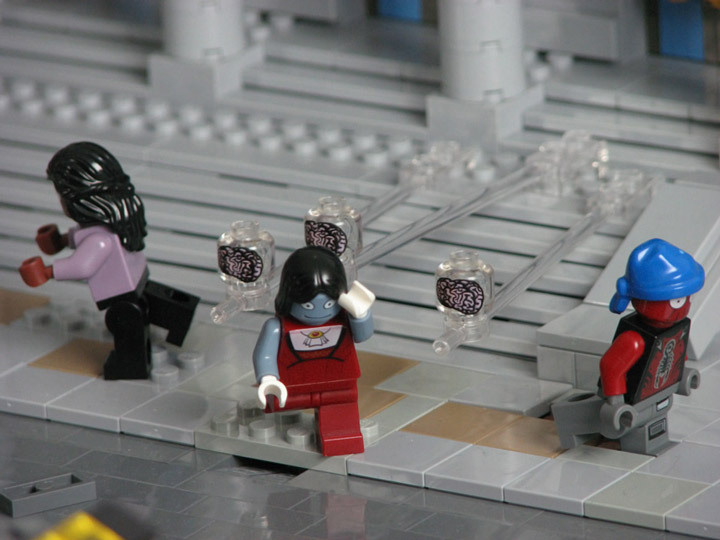 The first four Minifigures all appear to be based on popular video games. I recognize Titanfall, and Borderlands 2, but for some odd reason I can’t place the other two. They are being sold for $30, and ship will be shipping in March. High Velocity Ice Cutting Speeder. A Lego Ice Planet Themed MOC. 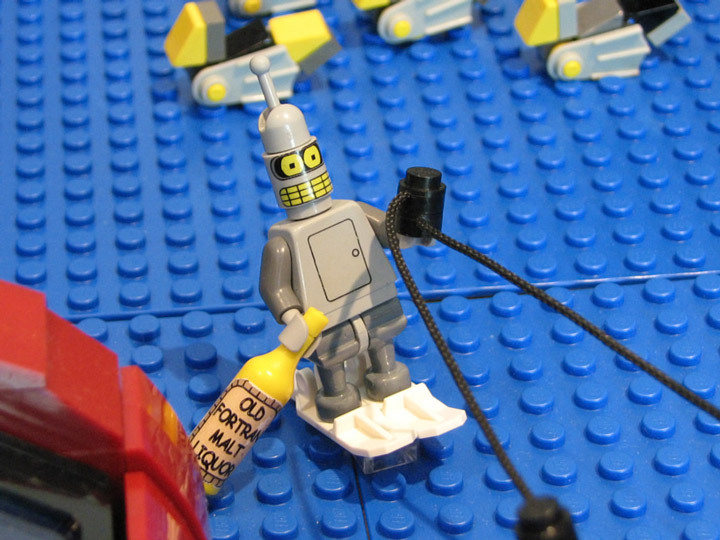 One Lego theme that you don’t see very often is the Ice Planet 2002 theme. This was the Lego Space theme from 1993 through 1994. 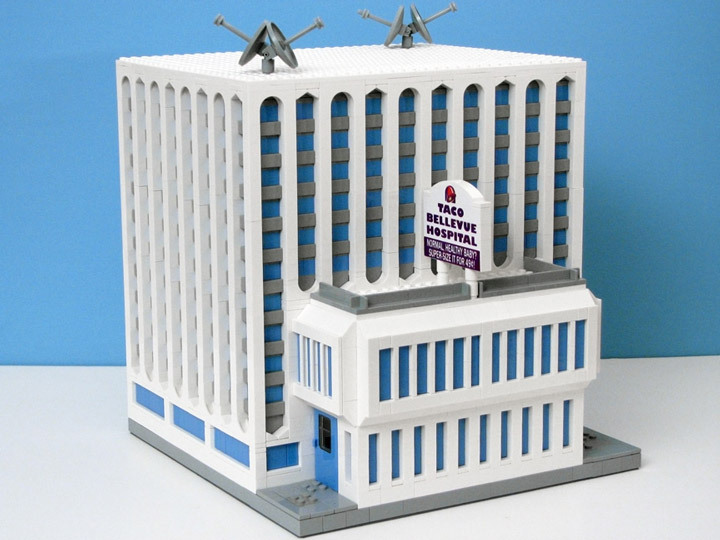 It had a heavy emphasis on blue and white bricks. 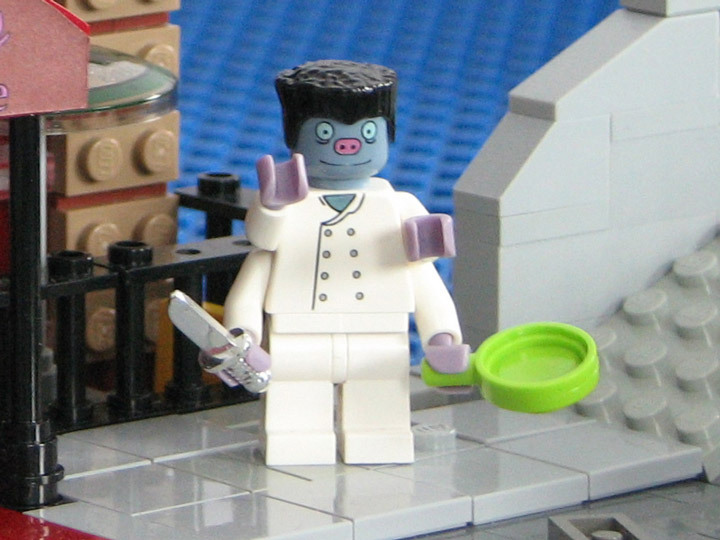 The theme contained a lot of white haired minifigures and the coolest (pun!) 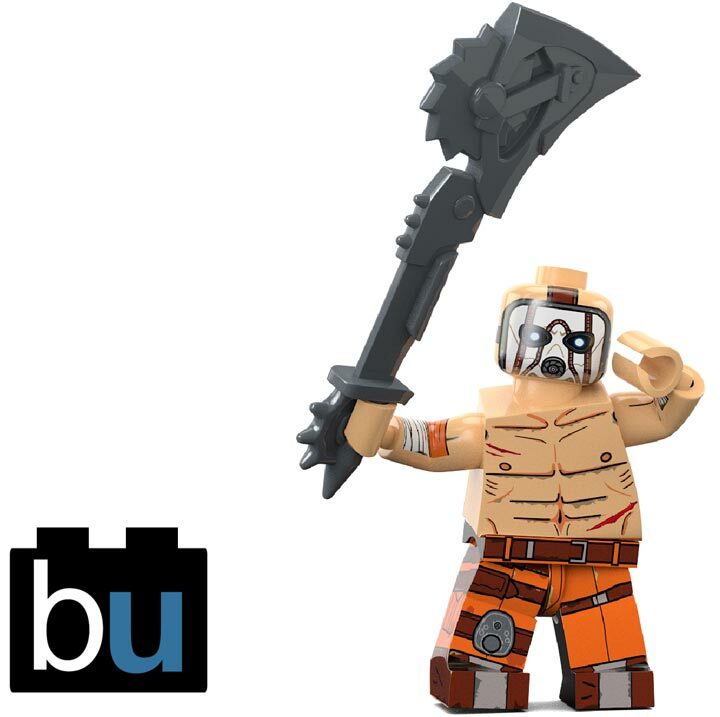 accessory ever made: the transparent orange chainsaw (6117). 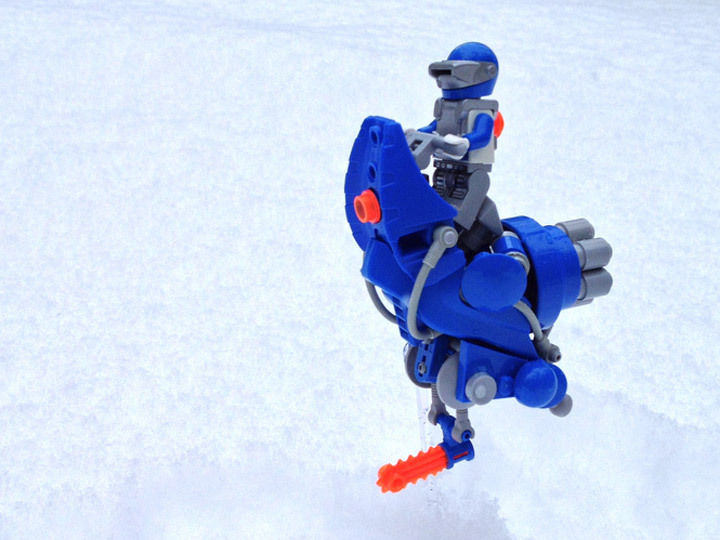 The High Velocity Ice Cutting Speeder (HiVICS), by A Plastic Infinity, is a cool MOC based on Ice Planet. 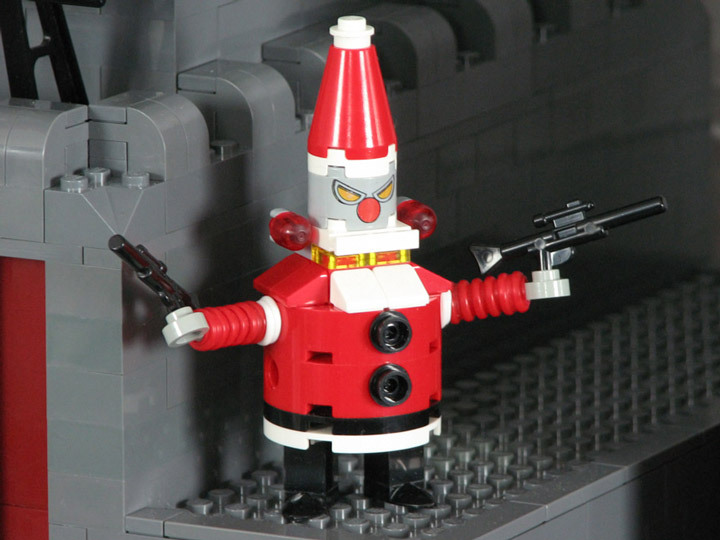 This is a compact speeder in the SNOT style, with come really inventive use of Lego parts. 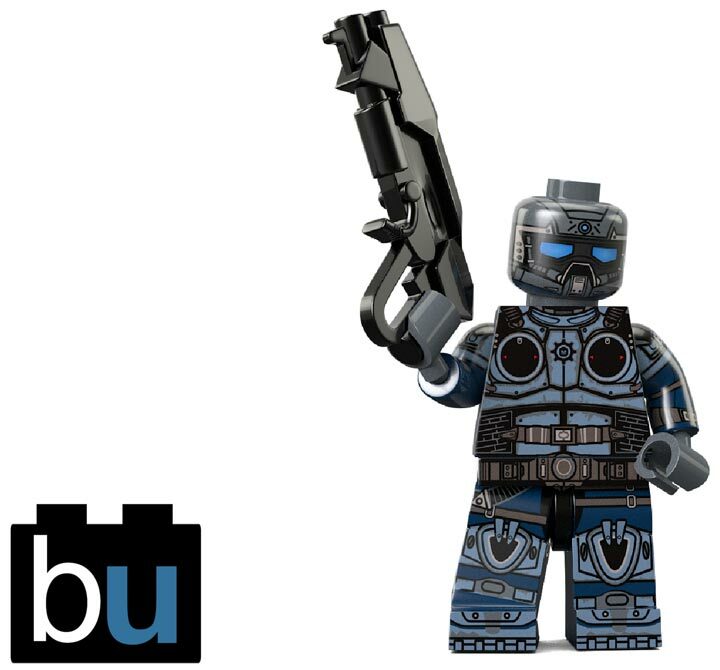 For instance, the blue baseball cap and the Bionicle (?) pieces. The Lego hoses also lend a sleekness to the speeder that works well. 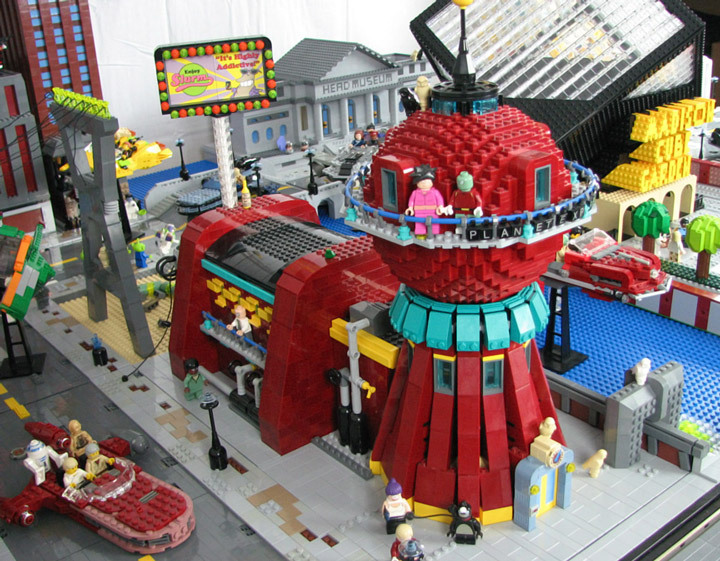 A Plastic Infinity used one customized Lego piece in this built. 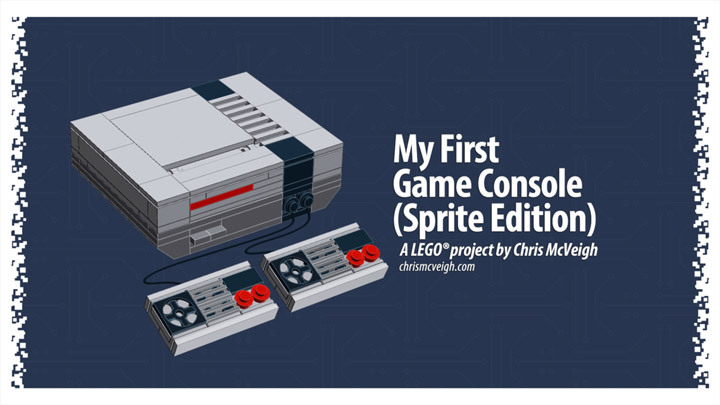 If you can spot it, make sure to go over to the Flickr page and let them know!